I’ve had a fantastic experience with BMW's middleweight adventure option, but the time has sadly come for the F800GS to return. I must admit, when I took delivery of the GS back at the end of March last year, I was a little apprehensive as to what I could expect. 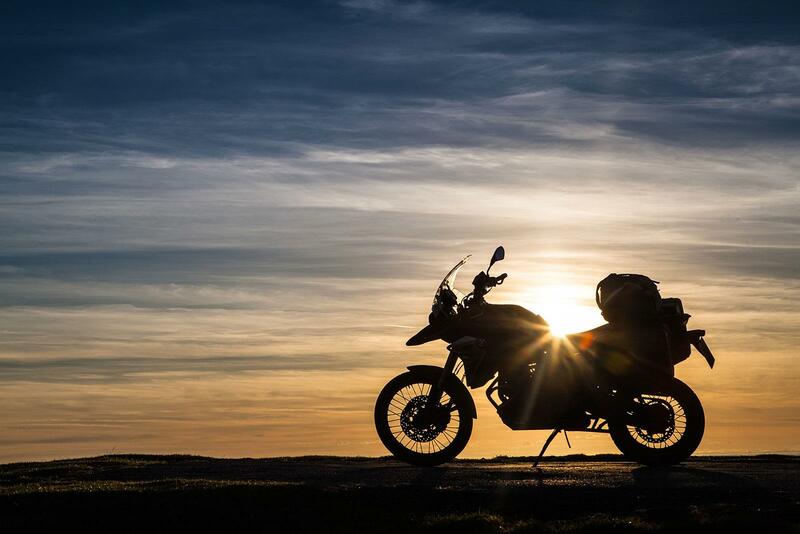 It was my first year living with an adventure bike and after coming from a background of sportier motorcycles, I wasn’t sure if it would be suited to how I like to ride. More importantly, I wasn’t sure if the hype that surrounds the GS name was all it was cracked up to be. I was to be pleasantly proven wrong. In my time with the bike, I’ve covered 18,000 miles; that have involved riding both on road and off in all kinds of situations. I’ve hit the dirt for the first time, taken it to Germany and toured all over the UK on it, while also using it as a daily commuter and transport to see me regularly travel back and forth to Devon from the Midlands on a near weekly basis. My highlights with the bike were taking it exploring. Admittedly, it wasn’t to some far-reaching country in the distant end of nowhere, but mostly upon the shores of the UK, where it proved on multiple trips to Wales and Scotland to be a most capable machine that was readily able to tackle nearly anything that it was pointed towards. It also demonstrated that you don’t need to go far nor spend too much to discover some incredible roads and scenery. The bike has been more than adequate in most situations, with the frugal 85bhp twin motor giving enough in everyday scenarios, although it does run out of puff a little when its capabilities are stretched on empty winding roads. It’s ample most of the time though and while overtakes require a touch more forward planning; it will still do the business. It won’t light the pants on fire of a fast rider but will still be mostly enough nearly all of the time. Riding off-road was a completely new venture for me and I found the GS an excellent bike to learn to do so on. The Enduro mode that came as a function on the Dynamic package (£680) would allow for enough slip from the traction control without turning it off while I was learning, keeping me in control when it grip was in short supply. I did however start to quickly find its limitations in this use before long and as I got better, it became a hesitation of my progress; as the bike would lose grip on steep climbs before the traction control would kick in and halt any progress. It also made it more difficult to keep under control when it was particularly muddy or slippery too. It is switchable and can be turned off, but this kind of eliminates the need for it in the first place in my opinion. The Enduro mode does make the bike feel better on the road though, with the ABS becoming less intrusive and braking feeling better. 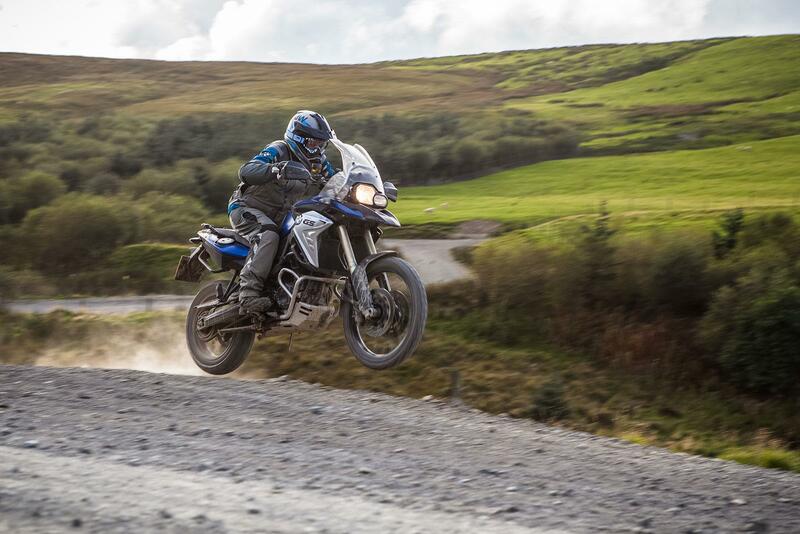 Saying that though, the Enduro Pro mode, which I used on an R1200GS at the Si Pavey off-road school is excellent for off-road use and has been included on the updated F800GS model with the Dynamic package (£690) fitted for 2017. Choosing tyres for the bike would go on to become a complex affair in my time with the GS. Thanks to the 21-inch front wheel, choice was limited as to what rubber I could use with the bike, and with use being both on and off road, finding a tyre that was genuinely capable in both areas was extremely difficult. 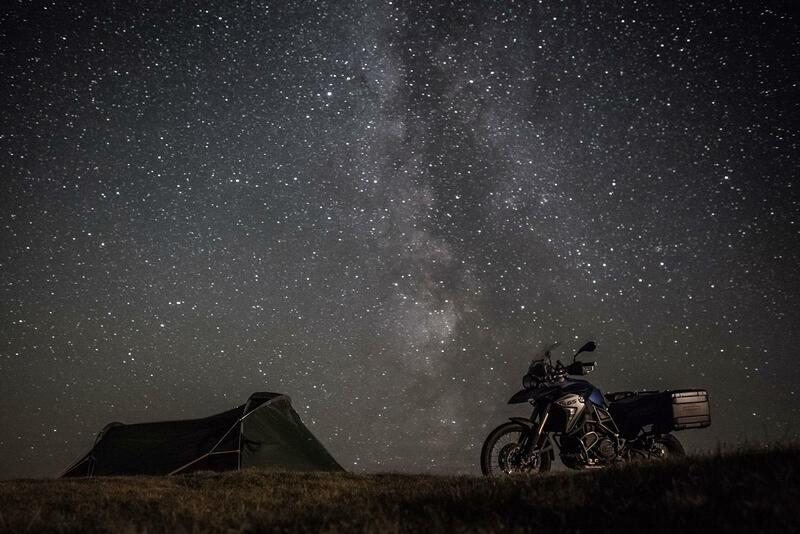 I came to realise that it was best to choose a tyre that would suit the majority of the riding done on the bike and to change to something different when the need arose. Not ideal. Nor was it the cheapest option, but it was the only real solution that I could come up with. The road-oriented tyres I used were good on the tarmac but obviously useless when it came to riding on the dirty stuff, while the opposite applied to dirt tyres. The supposedly magic dual-purpose rubber proved to be pretty useless on both surfaces, being too much of a compromise to be a genuinely credible option for me to use. There is an area that I would like to touch on surrounding the accessories for the bike. In my time with the GS, I’ve adapted it to suit my needs perfectly; I’ve added panniers (£493), a touring screen (£287), handguards (£133), crash bars (£322), an aluminium bash plate (£200), Enduro footrests (£128) and an Akrapovic silencer (£645). And all this was on top of the Dynamic (£680) and Comfort (£525) packages that came with the bike when delivered from BMW, but which are also expensive. I would consider most of these extras, with the exception of the silencer and pegs, essential to the riding I did on the bike and would also recommend a Scottoiler and fog lights to this list too. Altogether it makes the overall price of the bike a little eye-watering and becomes a little bit of a case of what else can you get for your money. What I really hoped the GS was going to be was a brilliant all-rounder, a bike that I could use for my everyday needs while also allowing me to explore other avenues comfortably and with practicality, and it delivered on all of these fronts and then some when it was properly kitted out. It’s somewhat quirky and extremely versatile nature has completely won me over and now I find it difficult to imagine my life without the bike. I’ve grown extremely fond of the GS and am genuinely saddened that I don’t have enough spare money floating around at the moment, because I would have genuinely loved to buy the bike. The F800GS might not be fantastic at anything in particular and the motor may be lacking a little punch or character compared to some of its rivals, but that still doesn’t stop it being an absolutely brilliant jack-of-all-trades bike that will quite happily take you wherever you’re headed with ease. If I were to be leaving on a trip around the world tomorrow, I’d have absolutely no problem turning to the humble GS to do the business of taking me and I also think that every rider should live with a GS at least once in their riding career. I can also confirm that after a year with the bike, I now fully understand what all the fuss is about when it comes to the GS name, thank you BMW.